Good day to you. My name is Dougie and I’m a Celiac. How many times have I made this or a variance of this greeting to people I’ve interacted with? I wouldn’t be able to count. The more important question I would like to ask is this – how do you feel when you make that greeting? Celiac disease is an emotional autoimmune disease. When I was younger, I felt like cringing when I had to announce my disease. Why? It alerted others I was different, not the norm, and high maintenance. I would then have to go into my spiel of what celiac disease is and what I can eat (yes, I can eat potatoes) and cannot eat (no, I cannot eat just the cherries off of the pie crust), gluten. It can be very frustrating, especially if my audience doesn’t get it. Having to explain myself, and my disease, only intensifies my feelings of difference. Now that I’m older and have a better understanding of the disease, I embrace it. As a result of embracing celiac disease, I’ve found my emotions and self-esteem has improved for the positive. I no longer cringe when I say “Hi, my name is Dougie and I’m a Celiac.” Why? Because of my attitude change and how I feel about myself and my disease. I own who I am and what I have. While celiac disease is not the whole of me, it is a part of me. Besides the social element of emotion in regard to celiac disease, there is another important emotional aspect – the food itself. Yes, for the normal diet, food brings about many emotions as a result of memories, comfort, and well-being. For the celiac survivor, food also brings about these same emotions but I feel there’s more to it. Negative emotions and feelings can abound if the celiac survivor focuses on what they can’t eat or make. On the flip side, the celiac survivor can achieve the same emotions as those on a regular diet by focusing on what they can eat or make. What can celiac survivors do to focus on what they can eat or make? Learn how to cook gluten-free by making substitutions for gluten flour in recipes. Focus on natural vegetables and fruits without using flour. Get delicious recipes from other celiac survivors. What is the celiac survivor left with? Emotions brought on by positive memories, comfort, and well-being. I do not have a medical background or education. That said I feel many celiac survivors are not in touch with their emotions enough to validate themselves and what they are up against as a survivor. Acknowledging the feelings and emotions, I feel, is one of the first steps for the celiac survivor to recover mentally and then physically and truly be gluten-free. I feel until these first steps are understood and completed, the true celiac survivor does not exist. What do you think? Good day to you. We are halfway through Celiac Awareness Month at the time of this writing and I’ve done a little reflecting on the progress the celiac survivor has made. 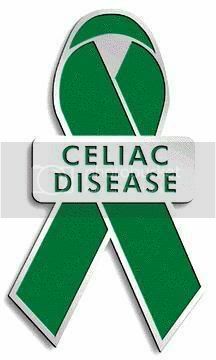 I feel this progress for celiac survivors has come in many forms to make celiac disease just a little easier to live with. Progress for the celiac survivor includes increased awareness by the general public. I’ve heard so many times from my co-workers: “I was at the grocery store last night and I thought of you. I saw gluten-free Rice Chex!” Most people I interact with seem to have at least a slight grasp of what celiac disease is. Even if the people I interact with have incorrect perceptions about celiac disease, I’ve generally found they are receptive to receiving accurate information about the disease. I find this encouraging for the celiac survivor. Progress for the celiac survivor includes technology. I’ve already mentioned social media in relation to celiac survivors. However, using internet search engines to find gluten-free products, ingredient lists, and information in regard to symptoms is also an amazing tool for celiac survivors. Other great tools are the many smart phone apps to find celiac survivor friendly locations such as health-food stores and restaurants. If the celiac survivor lives in a remote area, they can easily access the internet and order gluten-free products on-line! 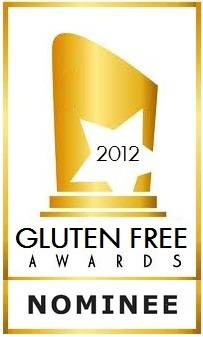 The celiac survivor has almost instant access to all things gluten-free around them. Progress for the celiac survivor includes the expansion of the distribution of gluten-free products. Fifteen to twenty years ago, in my personal experience, I could find gluten-free products primarily in health-food stores. Five to ten years ago, I noticed a few gluten-free items in the grocery store. Now, there are dedicated gluten-free sections in the grocery store that appear to be expanding almost daily! Choices have expanded greatly for the celiac survivor. Progress for the celiac survivor includes eating out in restaurants. In my experience, celiac survivors have increasing options in regard to eating out gluten-free. From food trucks and pizzerias to five-star dining, menus have been increasingly accommodating for the celiac survivor. More restaurant employees also seem more knowledgeable about celiac disease and the dangers of cross-contamination. Celiac survivors seem to have less stress in helping choose a restaurant to eat with family, friends, or co-workers and remain gluten-free. Progress for the celiac survivor is not without hidden dangers. Celiac survivors must hold themselves accountable in regard to the accuracy of the information they receive. Whether that information is in regard to an ingredient list, information on the internet, or menus; the celiac survivor still has to educate themselves accurately so as to remain gluten-free and healthy. That said, it is increasingly easier to receive accurate information and that, celiac survivor, is what I call progress.